An avid gardener for over 40 years, Dolores has landscaped for private clients and maintained one client's small orchid collection. 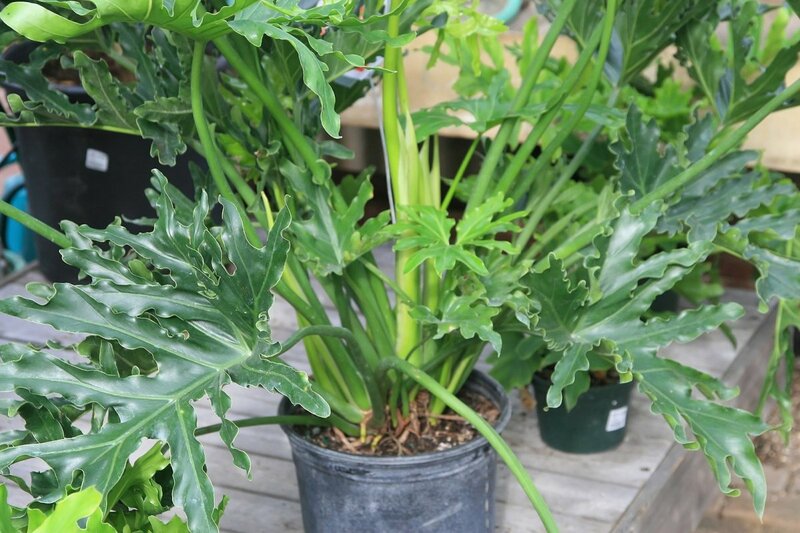 Swiss Cheese Plant, Monstera Deliciosa, or Cut Leaf Philodendron is a large showy houseplant with dramatic foliage. Mature leaves can be nearly three feet long with deep, uneven cuts along the edges. 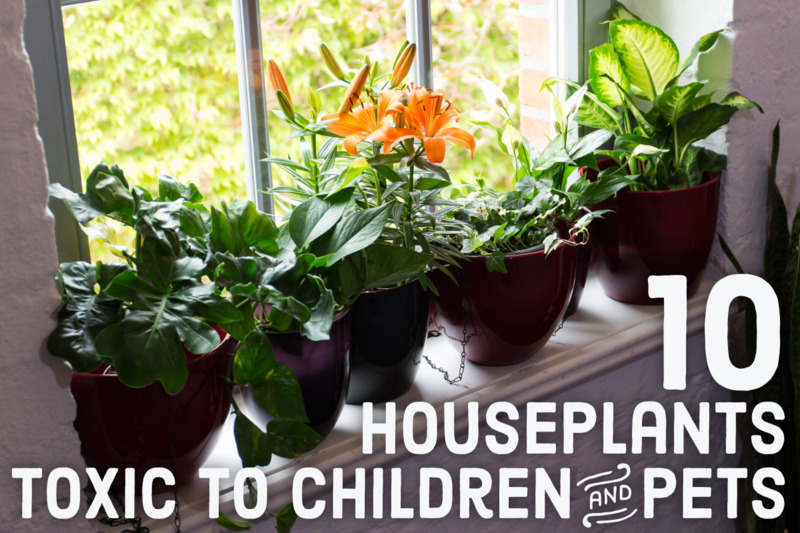 Holes appearing in the leaf give this easy to grow house plant its common nickname. The holes are charmingly irregular and add interest to the large leaved plant. The foliage is a deep, glossy green. 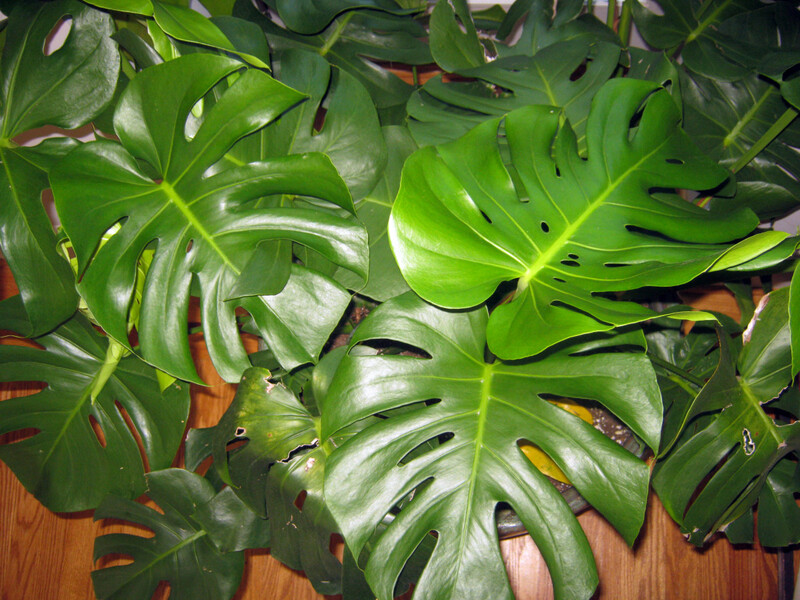 Though young Monstera deliciosa have heart shaped leaves that resemble a common heart-leaf philodendron, the Swiss Cheese Plant is not a philodendron. Swiss Cheese Plant has been a popular indoor specimen for many years and adds a beautiful tropical touch that can brighten a corner in a large room or office. The vivid green leaves add a touch of color to a room decorated in neutral colors. 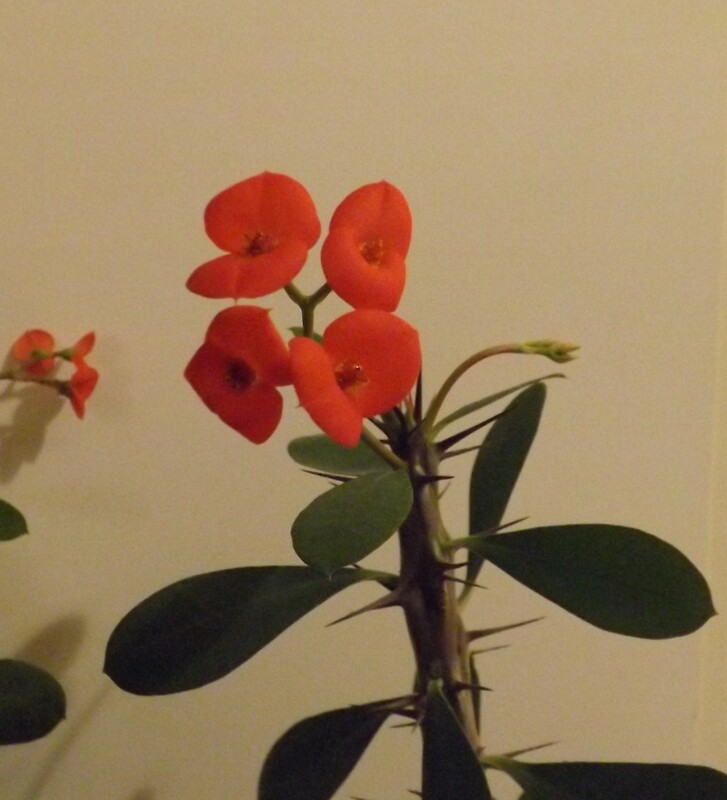 Though it flowers in the wild, it will usually not flower when kept indoors. Native to Central American rain forests, Monstera deiciosa will not tolerate temperatures below 55 degrees Fahrenheit. Keep out of cool drafts. Monstera deliciosa is a hot decorating trend. Images of the leaves are popping up in advertising, promotional photographs, on wallpaper, textiles, and dishware. A single leaf placed in a glass vase (don't forget to add water) makes an attractive statement in a room so is a popular prop for interior design. When a floral arrangement or bouquet may seem to fussy in today's minimalist culture, a single leaf fills the bill adding a natural element that has a clean line but an interesting structure. Swiss Cheese Plant does best in bright light but not direct sunlight. Light from an East facing window is best. Avoid placing in south facing window as the intense heat may scorch the leaves. Plant in a loose, rich soil. Add peat to enhance drainage. Make sure your pot has drainage holes at the bottom. 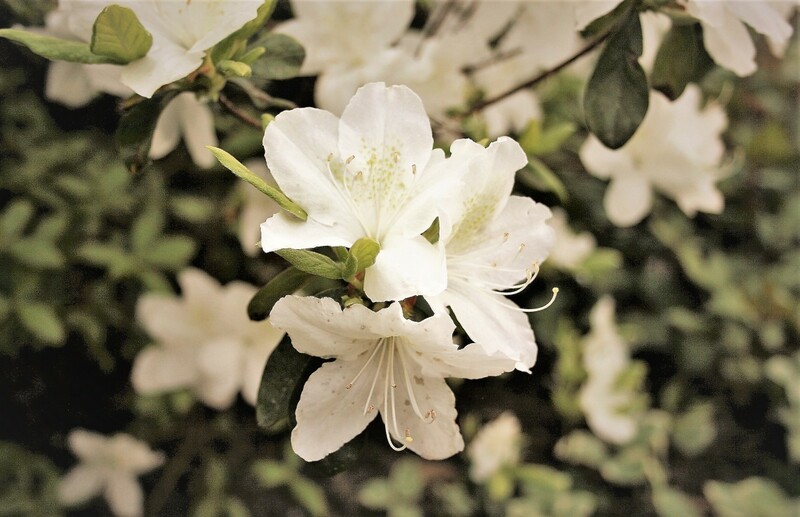 (Water that can not drain out may cause root rot) Place pot on a large saucer or tray to collect drained water so as not to damage floors or furniture. Allow soil to dry out between watering. Mist occasionally especially in dry conditions (such as winter when the heat is blowing or summer when air conditioning dries out the air). Tropical Swiss Cheese Plant appreciates humidity. The dry environment of a house in winter can be mitigated with an occasional misting. As the large leaves collect dust, an occasional wipe with a damp cloth is beneficial. Hold the leaf, supporting the underside so that it does not tear as you clean the leaves. A temperature between 65 - 85 degrees F is best for Monstera Deliciosa. Apply fertilizer once a month with a balanced (20-20-20) fertilizer. Use half the recommended dosage. Grown in a large pot, Swiss Cheese plant will sprawl and appear like a shrub. It can also be tied to a support and grown upwards for vertical interest. If you see exposed roots, they are not a cause for concern. Swiss Cheese Plant which is a vine produces air roots that will attach themselves to a pole used for support. The roots will also invade the soil of nearby plants! Swiss Cheese Plant, like many houseplants, is toxic. Do not allow dogs, cats, or children to touch or chew on leaves. If chewed, poisons in the foliage can cause irritation of the mouth, blisters, and vomiting. 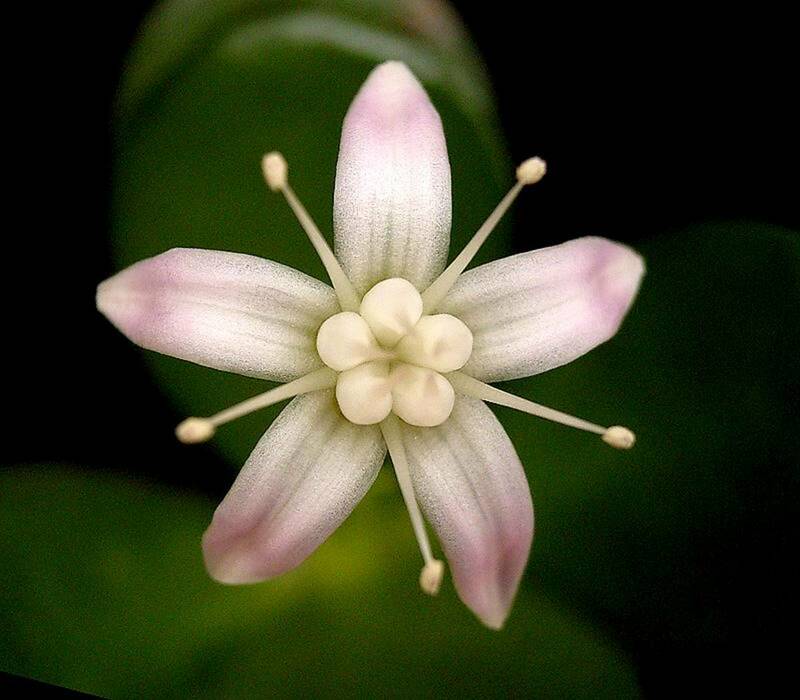 The plant can also cause skin irritation in sensitive people. Wash hands well after touching or wear gloves when handling. Yellow leaves can also be a sign that the plant needs nitrogen, a common ingredient in fertilizer. Some older leaves at the base of the plant may turn yellow with age and is not a cause for concern. In any case, remove yellowed leaves as they will not revive. Brown Leaves can be caused by sun scorch if plant is set in a southern exposure. Move plant and remove brown leaves. Brown leaves may also be cause by over fertilizing. Cut back on fertilizer and remove brown leaves. 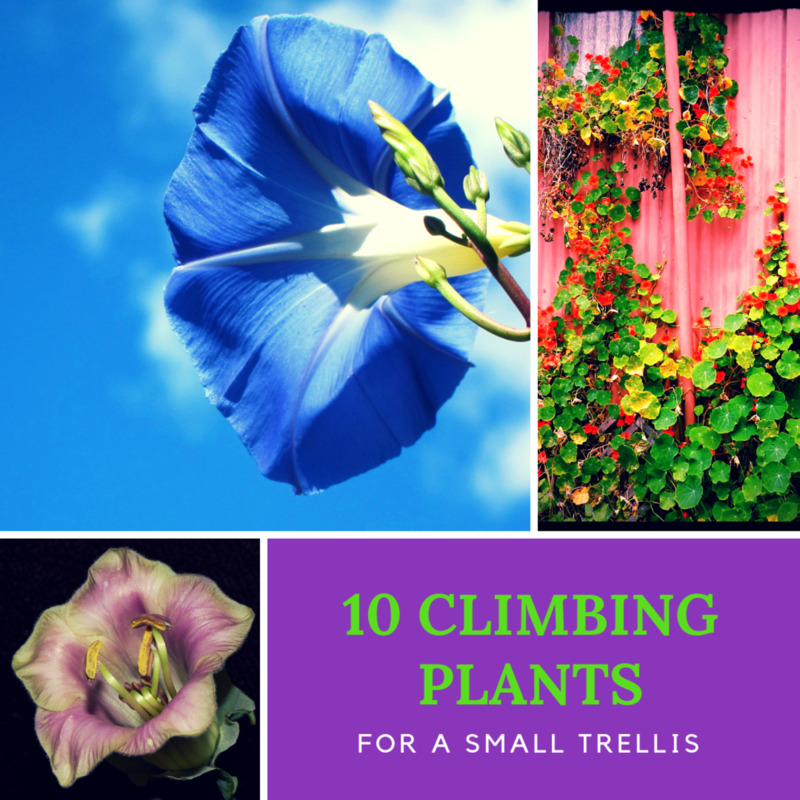 Lanky plants, or plants with very long stems and small leaves probably need more light. A Swiss cheese plant can overgrow a container and take over a room. Outdoor plants can grow very large and out of hand. You can prune a Monstera to keep its size in check. Use a clean, sharp pair of sturdy clippers. Regular household scissors will not be make a clean cut. Cut into the vine just below a node (the beginning of an aerial root) in spring. New shoots will emerge. This plant can cause skin irritation so use gloves when handling. An open cut on any plant can be an invitation to fungus or bacteria. Use a fungicide on the cut. I use a paste made of cinnamon and water to deter trouble. If you want yet another plant you can encourage the cut pieces to grow. Place a section of the cutting in water for decoration or to encourage new growth. Change the water every few days. In a month or so you should see changes. the best piece of the plant to try to propagate will have some of the aerial root attached. After you see new growth, plant in potting soil and keep moist. The video below may be a bit long but it gives you a good clear look at a node and the right place to cut the Monstera. Monstera Deliciosa is sometimes confused with a Tree Philodendron. In fact, both plants are occasionally called Split Leaf Philodendron. In the video below, you can see the difference. What kind of fertilizer should I use for my Monstera? Use any all-purpose or organic fertilizer for your swiss cheese plant. You will notice numbers on the package. The first refers to nitrogen, the second to phosphorus, the third is potassium. A balanced fertilizer would show equal numbers like 20-20-20. Use one half of the amount of fertilizer that the product recommends. You can feed it more frequently if you dilute to one quarter - some people like the phrase fertilize weakly weekly. Twice a month works well for the half dilution. 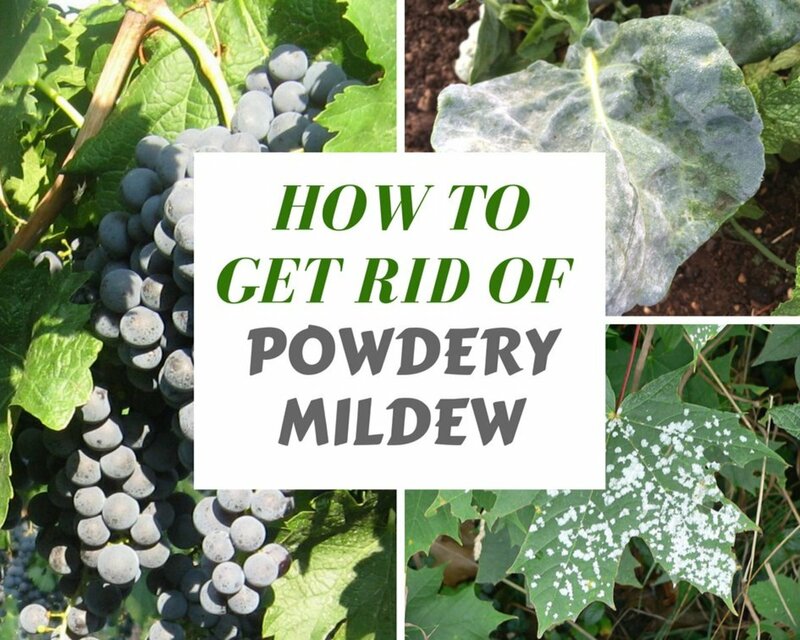 Fertilize a bit less in the winter if you live in a colder area. During the summer months I put my Monstera deliciosa on the patio. What can I use to keep bugs from eating it and leaving holes ? 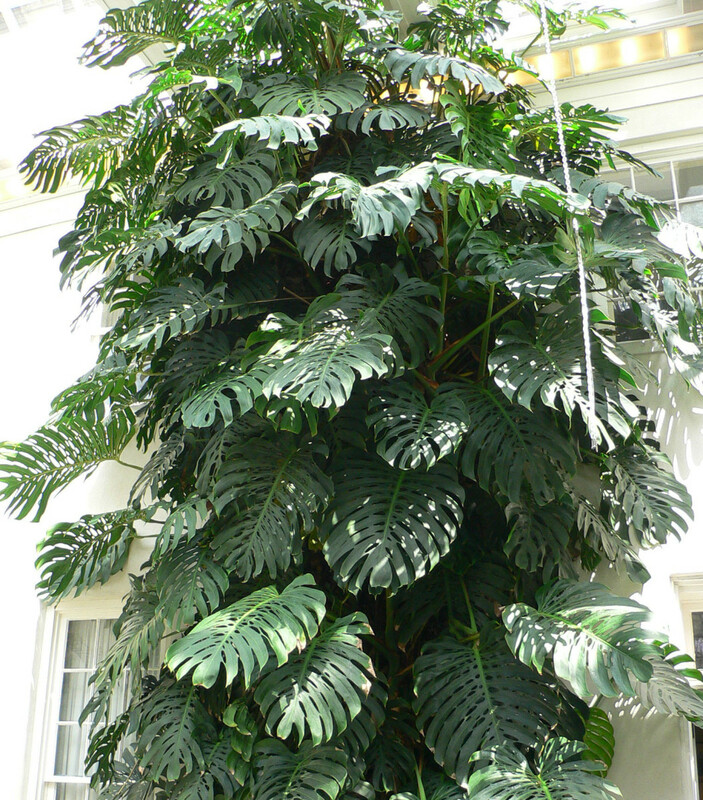 For an indoor plant, which grows taller, the Swiss Cheese or the tree Philodendron? Both of these plants can grow very tall. Notice the telltale names, "Monstera" for the one, "tree" for the other. If you are concerned with a choice that depends on eventual size, don't worry about that. Choose the plant that you like the best. Either one can be pruned to restrict its height. Pinch back top shoots in Spring. This will encourage side shoots that cause the plant to widen rather than growing very tall. Hi Virginia - well I haven't seen any growing in people's yards but I am sure that I read you can cut them back. Maybe your neighbor needs to look into pruning the monster. My neighbor in Florida has one of these plants in their backyard. It is indeed a monster and I love how lush and tropical it looks and the privacy that it provides between neighbors. He doesn't like it, as it has grown so big that they can't use their screen room door to go out into the yard.